The rumors were right: The Steam Holiday sale launched today and, of course, it promptly crippled the servers. 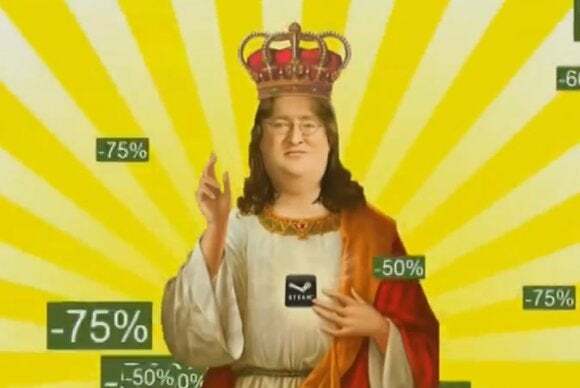 Once Valve flipped the auxiliary nuclear power switch and finished putting out fires, however, we were left to see what bounties Gabe Newell hath brought in his sleigh. 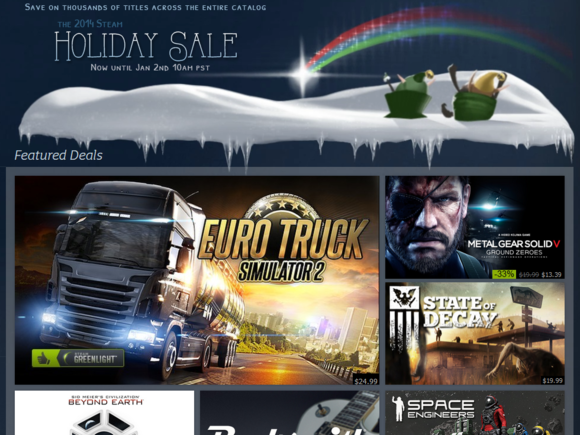 It's looking like a pretty standard holiday sale, which is to say there are plenty of fantastic deals to kill your wallet. Featured deals will run for two days each, flash sales now run for twelve hours instead of six, and there's a Community Choice section, but with only one vote per day. Voting does earn you Holiday Trading Cards, though, which is the same meta-promotion used for a couple sales now. The more you vote, the more you buy, the more cards you earn—cards which can be sold for a bit of cash on the Marketplace or used to craft the Holiday badge and boost your Steam level if Valve's somehow gotten its meta hooks into you. There are pretty solid deals for the opening day too: Dark Souls II discounted to $15, Rocksmith 2014 down to $20 (though without the cable you need to make it work), State of Decay and Microsoft Flight Simulator X down to $5. As always, wait until something is a featured, flash, or community sale before pouncing if you want to save a few dollars, or buy it if it's the last day of the sale and hasn't been discounted further. The sale runs from today through January 2 at 10 A.M., so we've got about two weeks of deals ahead of us. I'm praying for both my wallet and yours. We can get through this together.